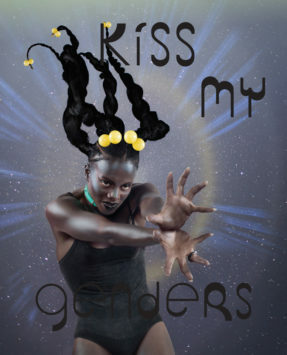 Kiss My Genders celebrates the work of more than 20 international artists whose practices explore and engage with gender fluidity, as well as non-binary, trans and intersex identities. Featuring works from the late 1960s and early 1970s through to the present, and focusing on artists who draw on their own experiences to create content and forms that challenge accepted or stable definitions of gender. Working across painting, immersive installations, sculpture, text, photography and film, many of these artists treat the body as a sculpture, and in doing so open up new possibilities for gender, beauty, and representations of the human form. 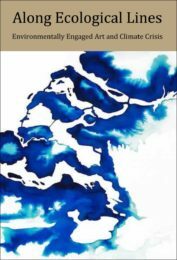 This publication includes texts from writers, theorists, curators, poets and artists who have made key contributions to thinking in the field. 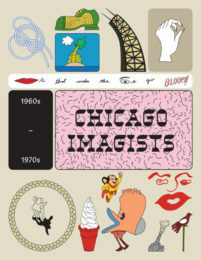 From pop culture and gender dissidence to the embrace of the ‘monstrous’ or ‘freaky’, from the politics of prose to trans-feminism and politics on the street, each of these writers throws light on a different way of seeing. Also featured is a round-table discussion between a selection of artists and exhibition curator Vincent Honoré. In addition to these original texts, the book reprints a key text by Renate Lorenz and includes poetry by Travis Alabanza, Jay Bernard and Nat Raha. 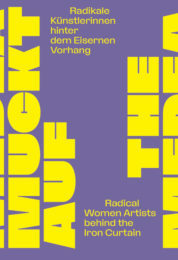 Published on the occasion of the exhibition, Kiss My Genders at Hayward Gallery, London (12 June – 8 September 2019).